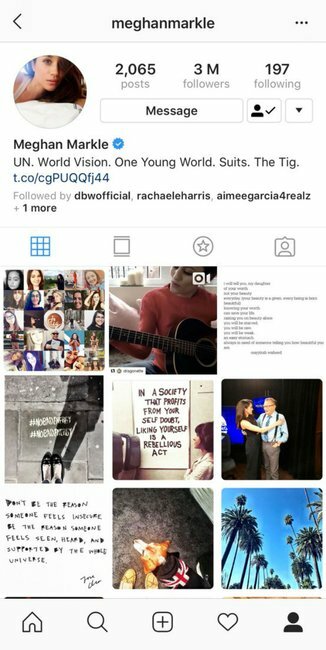 Why Meghan Markle's Instagram account mysteriously reappeared. The reason Meghan Markle's Instagram account mysteriously reappeared overnight. Something wild happened last night. Former social media user Meghan Markle made a brief return to Instagram and everyone was like why? 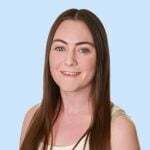 Quick recap: Meghan shut down her Twitter, Facebook and Insta accounts, as well as her personal blog The Tig in order to become a royal. While Kensington Palace is an active Twitter and Instagram user on their behalf, it’s not personally run by the royals it features. 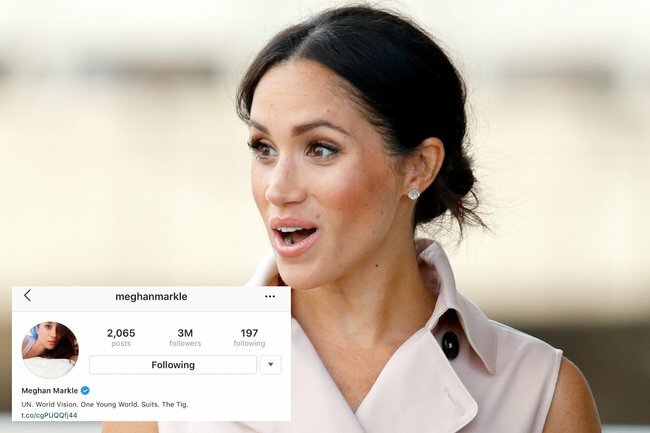 So, yes, when Meghan’s personal account returned to Instagram overnight – with her old uploads and three million followers intact – it caused a lot of confusion. Her profile picture was still her old &apos;casual selfie on bed&apos; and her bio still read: "UN. World Vision. One Young World. Suits. The Tig." Just as mysteriously as it appeared, the account disappeared again about 45 minutes later. Of course, theories about the reason her return were inescapable. People were hopeful this meant a full return to social media for the Duchess who has become known for breaking royal protocol. Or that the Queen had laxed the rules and would be letting the royal family run their own accounts. Maybe she had been hacked. Could she have been engaging in a wee Insta-stalk of her friend Priyanka Chopra&apos;s wedding photos and didn&apos;t realise it reactivated her account? Unfortunately, the most likely reason is far less exciting. Royal commentator Omid Scobie said the brief reactivation of her account was just down to a glitch. Maybe one day Meghan will once again share photos of green smoothies on Insta - but for now, we&apos;ll have to make do with the pics posted on the official Kensington Palace and royal family accounts.